As Theresa May goes to and for from Brussels once again the forlorn hope of getting reassurances on the Irish backstop, the Brexit process is stagnating, and the clock keeps on ticking towards March 29th. The hard truth for Theresa May, as revealed by the ERG, is that the hardline Brexiteers in her party will never accept any deal that comes back from Brussels. They saw any cooperation with the EU as suspect, and any hopes of securing their backing at the eleventh hour our woefully misguided, despite desperate hopes for a last-minute solution. The backstop has, of course, been the major sticking point that has caused the most crocodile tears for the Rees-Mogg and co. 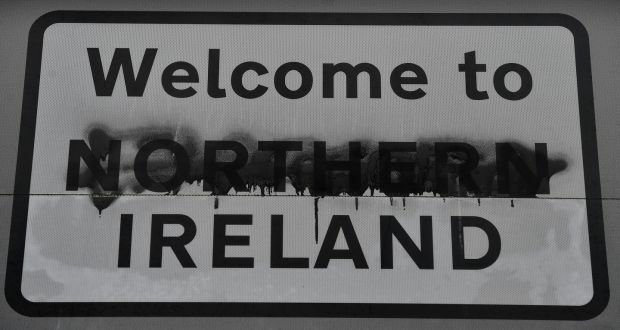 The issue of whether to ensure that there is no hard border in Northern Ireland has been causing the government trouble since the negotiations began. The backstop is the only practical solution that keeps the border frictionless and keeps the fundamentals of the Good Friday Agreement intact. The EU has quite rightly said that there is no other possible solution, no magic unicorn that keeps part of the UK out of a Customs Union and ensures a frictionless border. As the Tories continue to fret over ‘alternative arrangements,’ the prospect of no-deal becomes ever more real. Theresa May’s deal has many faults, but backstop solution deserves credit, although the Prime Minister is now trying to get rid of it entirely. The essence of the backstop is, however, not so much a solution to be implemented as a safety net that should never come into operation. Both the UK and EU have expressed their wish that a free trade deal should be formulated before the backstop comes into play. We are not stuck forever in a game of who blinks first. Neither has Northern Ireland been ‘annexed’ into an EU Colony, despite what some hardliners would have you believe. Those in Brussels have come to the lamentable but correct conclusion that whatever deal is given to the Brexiteers, it will never be accepted. Since the referendum in 2016, we have a slide of those who initially supported a second referendum, such as Dominic Cummings and Boris Johnson, now deriding it as a ‘betrayal.’ The issue of Ireland was ignored in 2016 by most campaigners and the government’s eternal procrastination to deal with the problem has led to the current Parliamentary impasse. Mrs. May’s attempts to persuade the EU to budge are ultimately futile, and the uncertainty that surrounds a potential no-deal exit and all of the unfortunate connotations that have been ignored by the overzealous Brexiteers. Theresa May has little hope of securing Parliamentary backing for her deal, but not because of a major trade agreement but because of a point of principle. Although the Lib Dems in Parliament have so far rejected the rest of May’s deal, with all its flaws, they may have to defend the backstop to prevent even more dangerous consequences. This article was originally published on Lib Dem Voice on Wednesday. You can view the article in its full glory here.